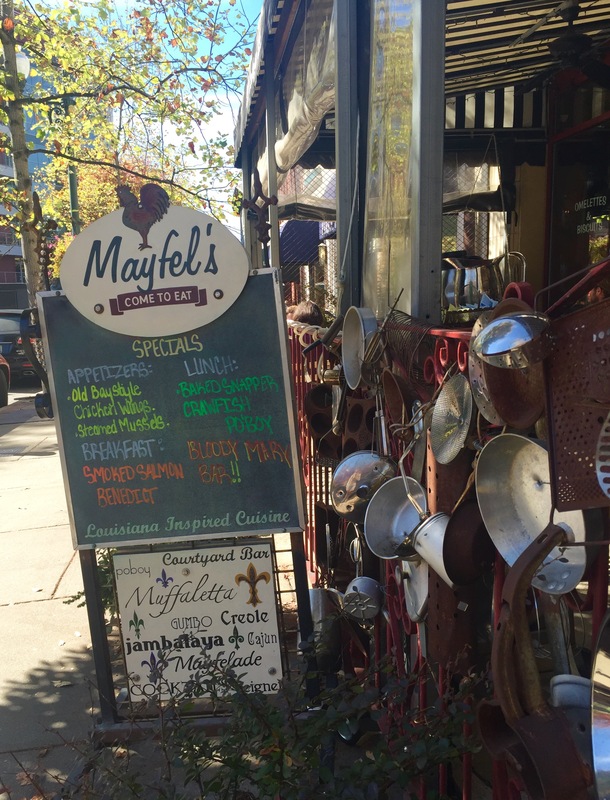 Mayfel’s, a favorite amongst Asheville brunch lovers, is located in the heart of downtown. 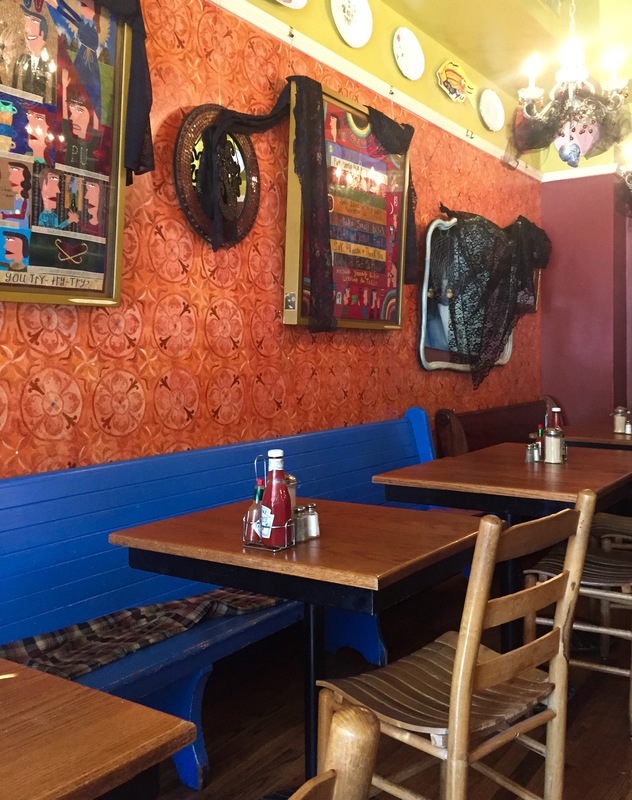 The interior is unique and colorful–funky art, eclectic chandeliers, and Louisiana-style pieces are smattered all over. They also have not one, but two patios. 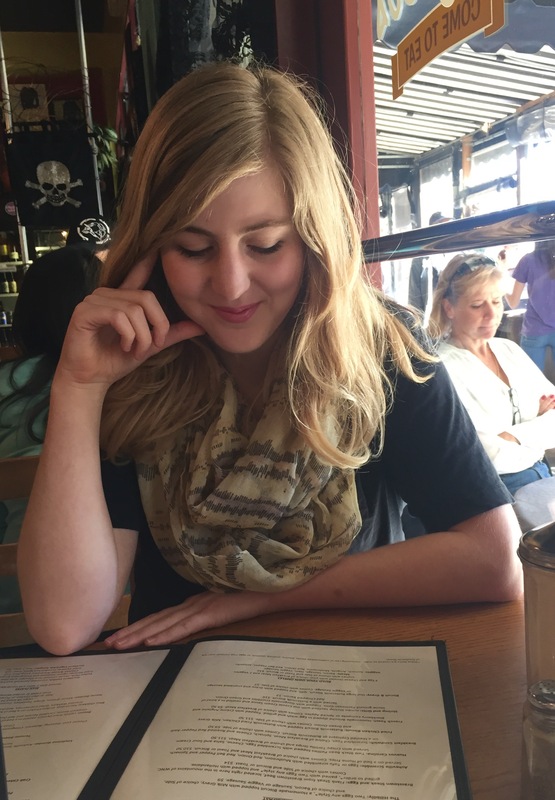 The front patio is dog-friendly with a great view of Pritchard Park and the second is a called The Courtyard Bar, located in the courtyard behind the building. 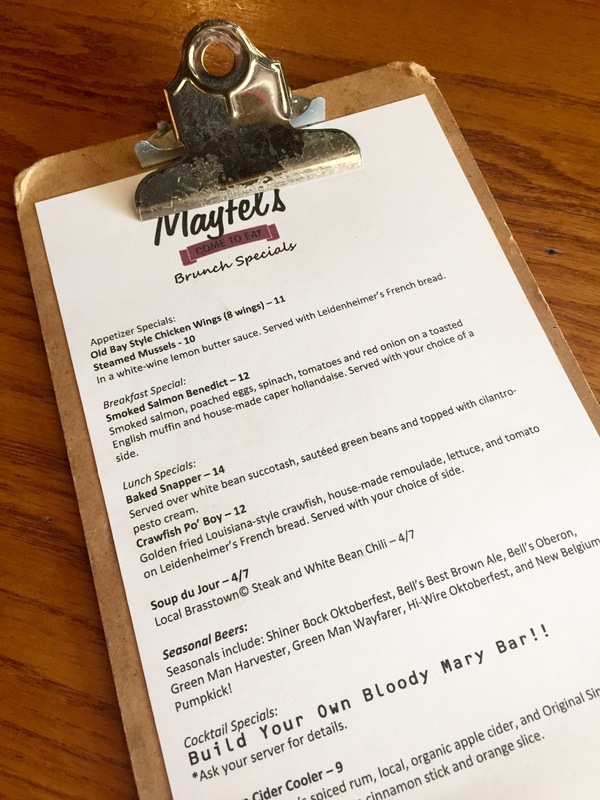 Mattie was especially chipper because Mayfel’s boasts one of the best “build your own Bloody Mary Bars” in Asheville. 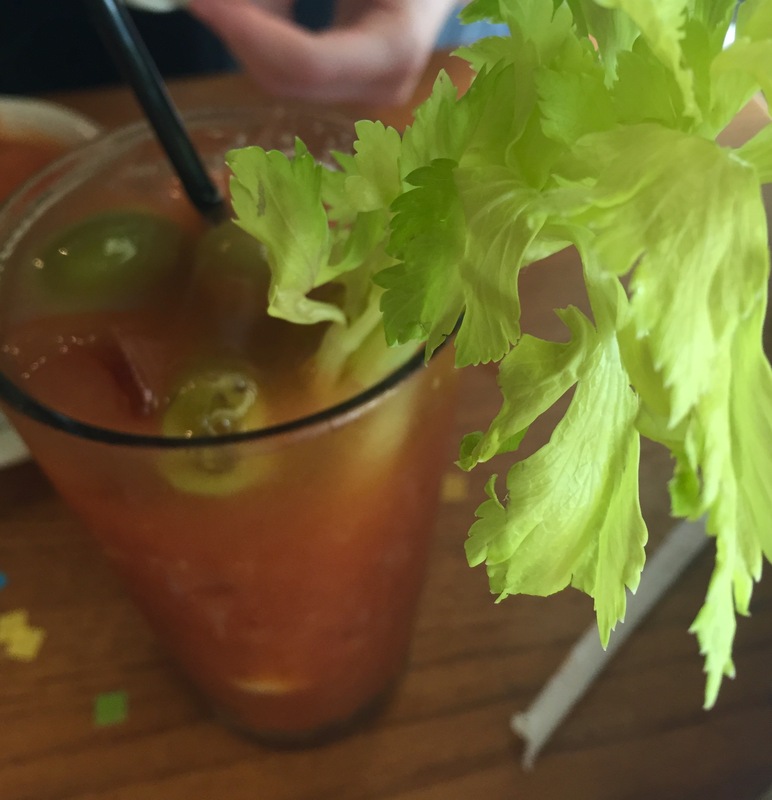 And this girl loves a good Bloody Mary. 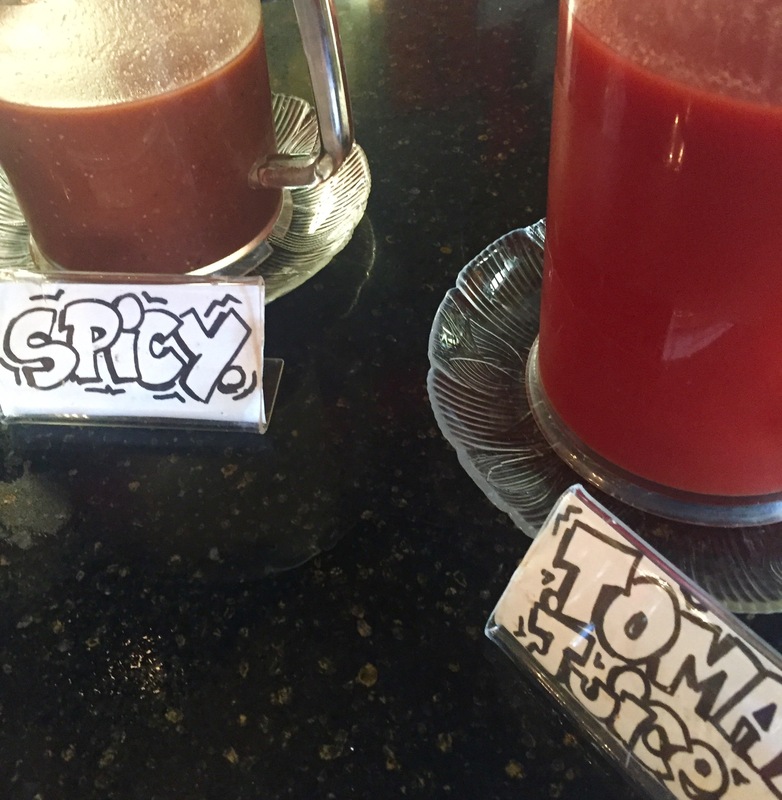 You can load yours up with regular tomato juice or a spicy tomato mix, plus add-ins like okra, olives, celery, lemons, horseradish, and tons of hot sauce varieties. 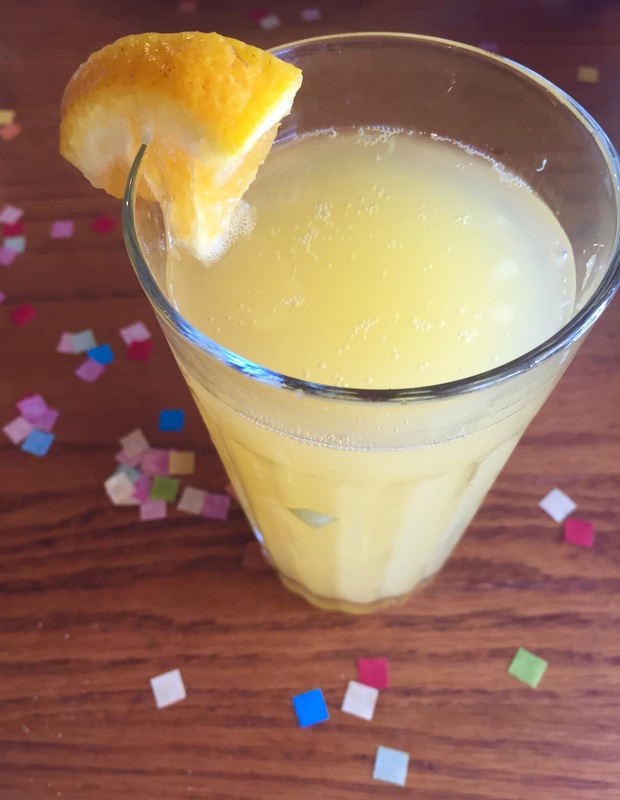 Everyone else opted for Mimosa’s, which were quickly filled with confetti when Chelsea started opening her gifts. 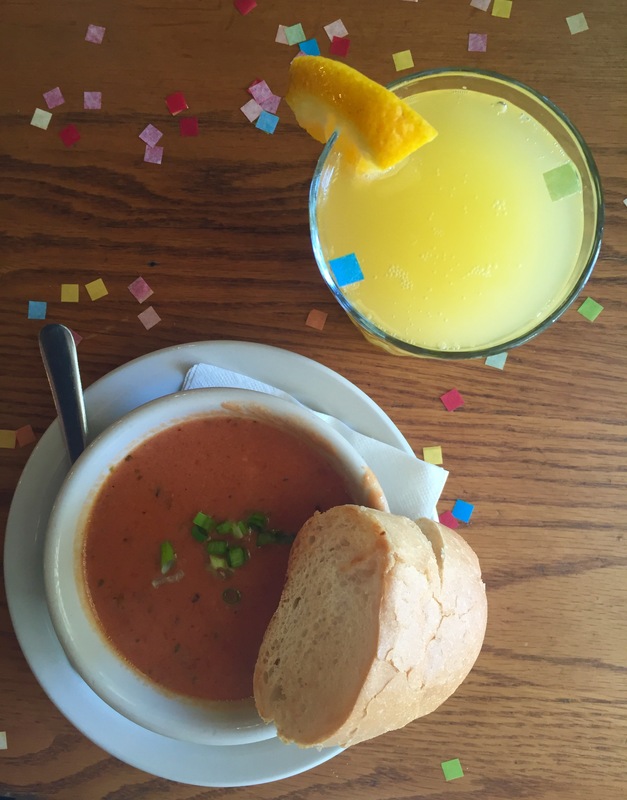 Chelsea, Mattie and Matt decided to start with a creamy tomato bisque, served with French bread. It was beautifully seasoned and quite chunky which was nice. 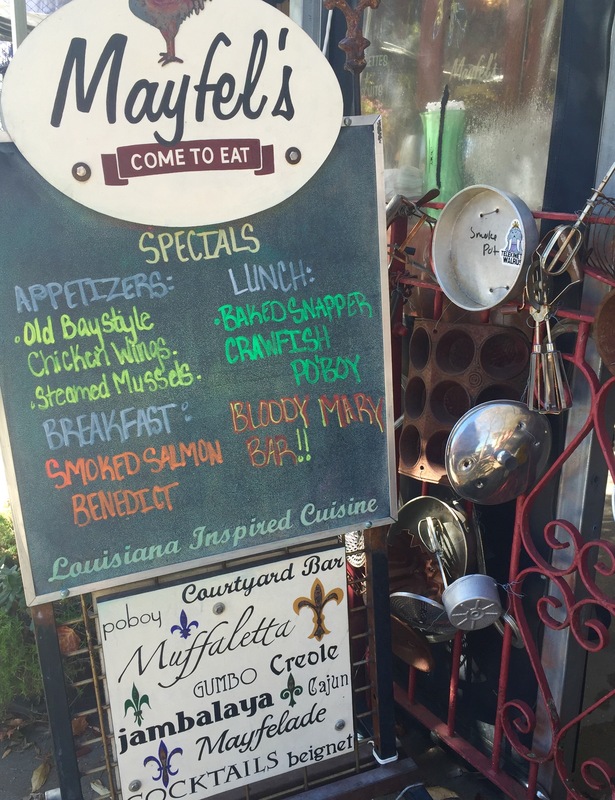 We love restaurants that use local products and Mayfel’s is one of them. 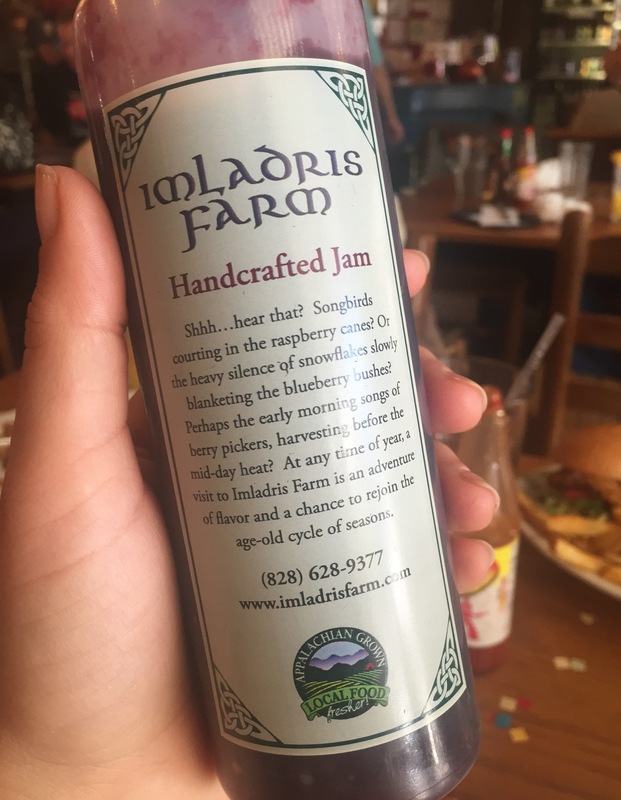 This jam–made in neighboring Fairview by Imladris Farm–is so delicious and can actually be found at a lot of restaurants around town. 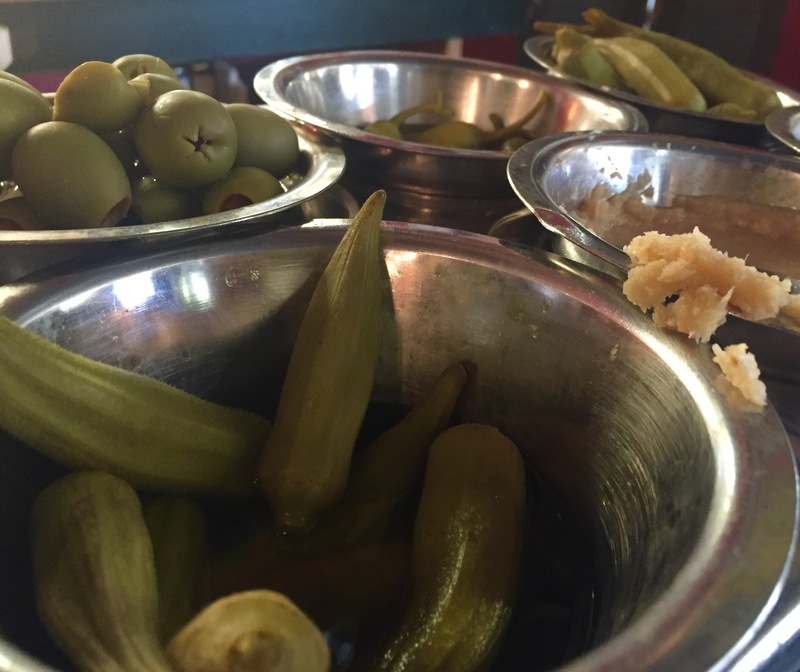 If you want more information on how/where to attain local food then definitely check out ASAP. It stands for Appalachian Sustainable Agriculture Project and they are an amazing organization! 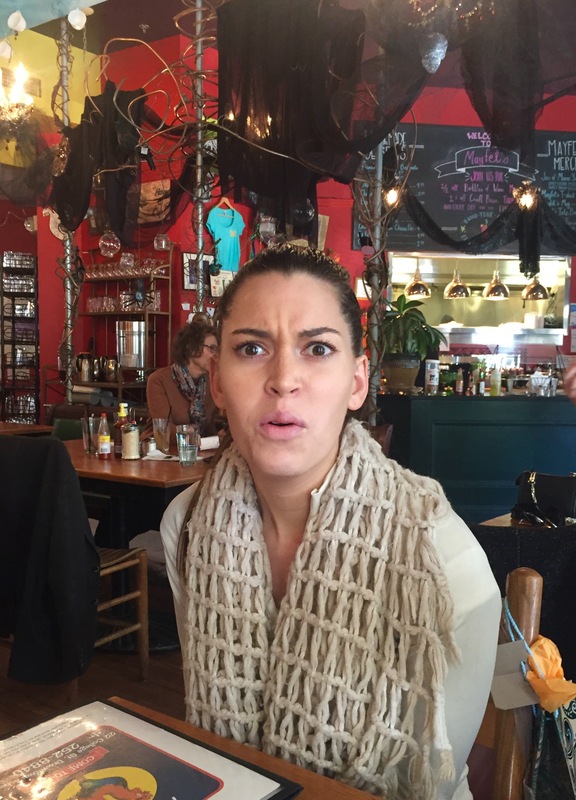 Any-who, Jessica was so overwhelmed by the menu options, she had a small freakout. 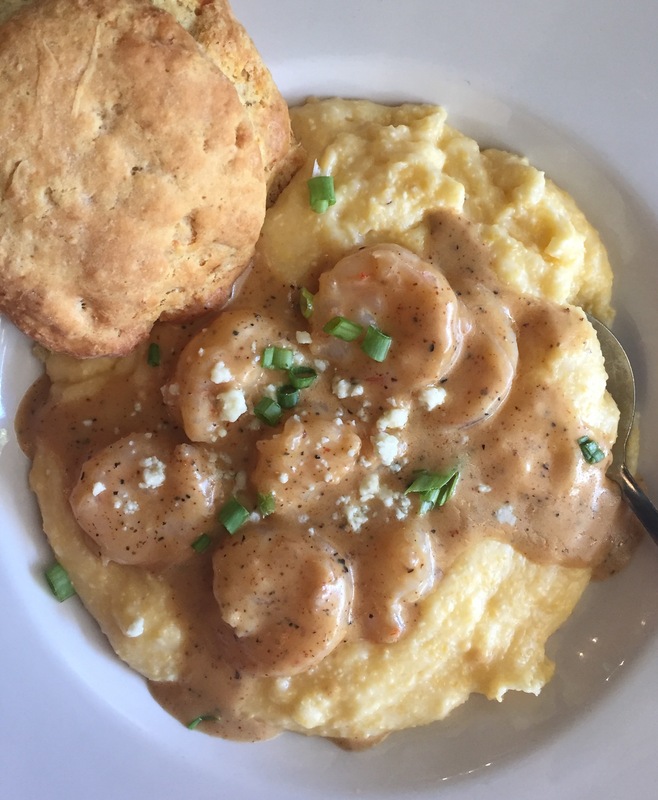 Chelsea chose the shrimp n’ grits, topped with gorgonzola cheese, scallions and served with a fluffy buttermilk biscuit. The shrimp were huge and sautéed in Creole cream sauce. 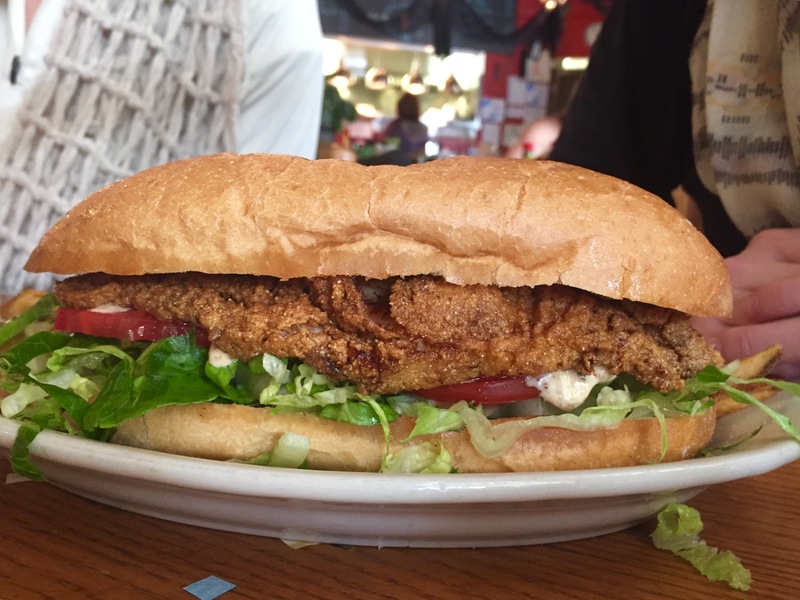 Pure comfort food through and through, it was the perfect treat for the birthday girl. 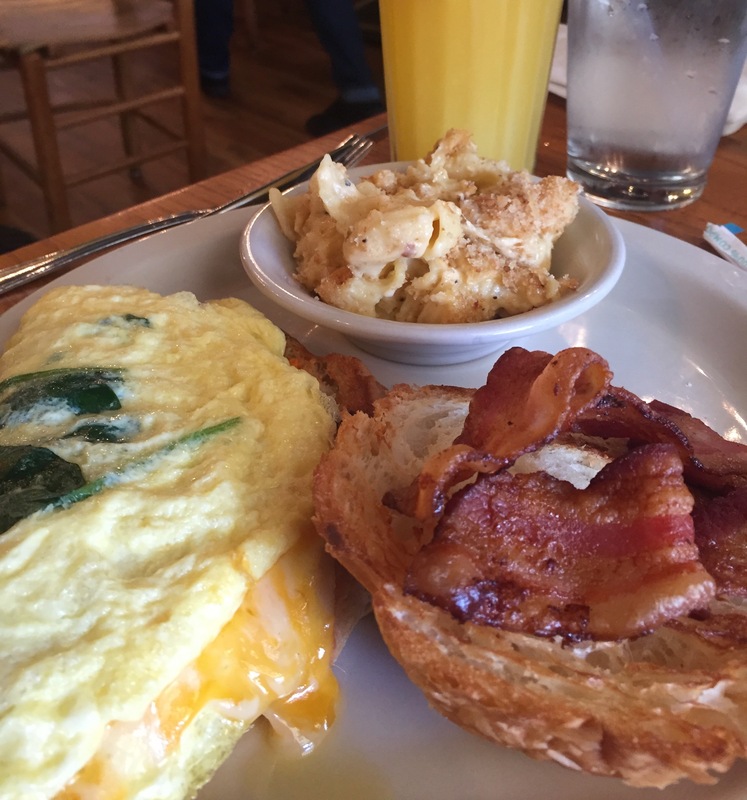 Matt had an egg, bacon, cheese and spinach omelet topped with bacon inside a warm and flakey croissant. It was served with his choice of side, mac and cheese. 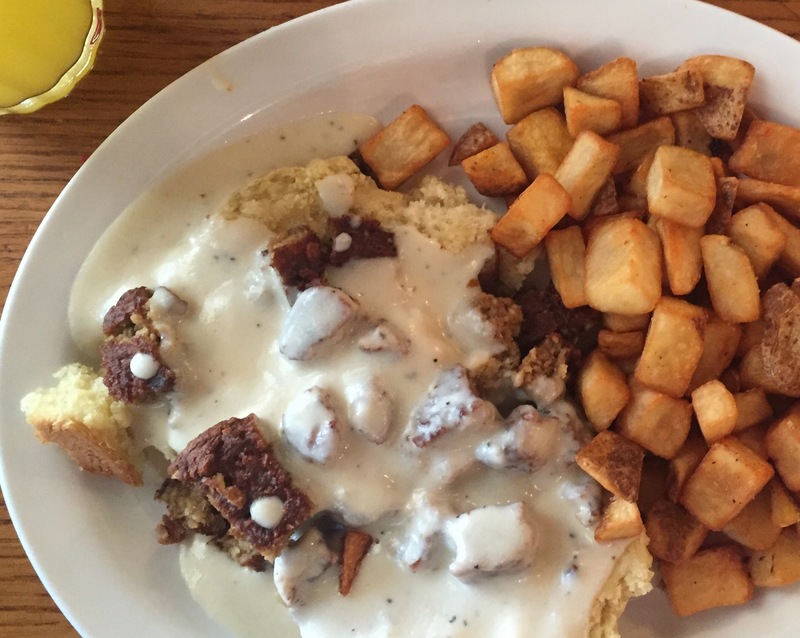 Jessica opted for the biscuits and gravy with vegetarian sausage and a side of home fries. 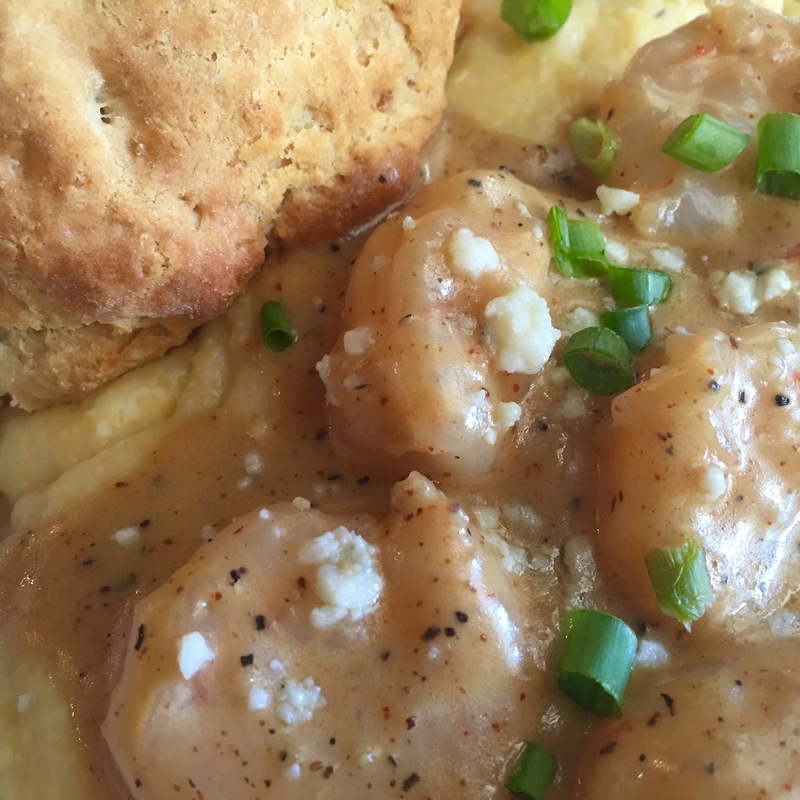 You would never know the sausage wasn’t real meat, and the buttermilk biscuits–perfection. 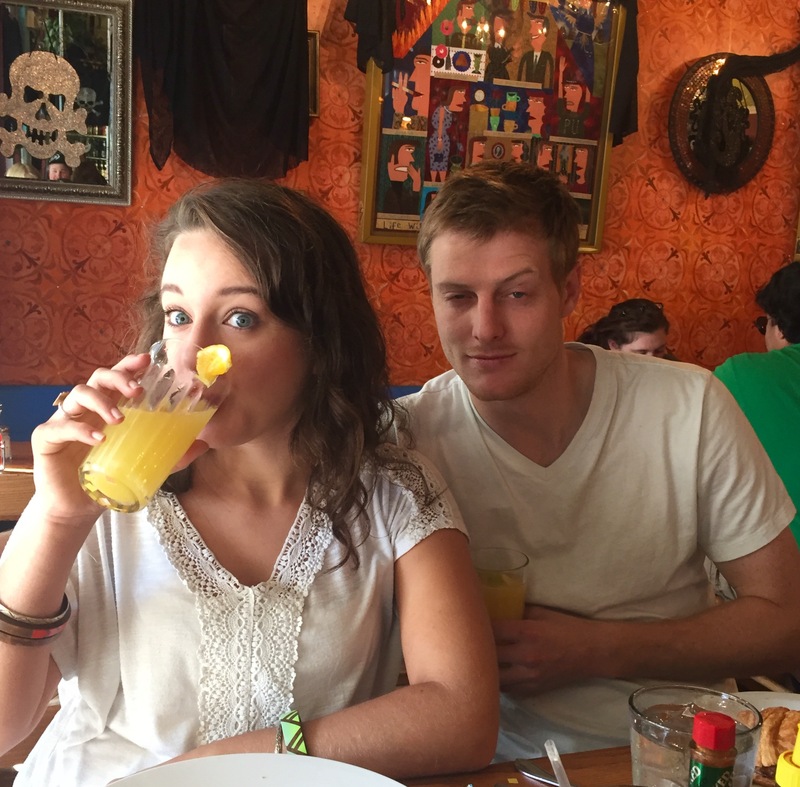 We couldn’t have had a better start to our day–if the birthday girl is happy, everyone’s happy! 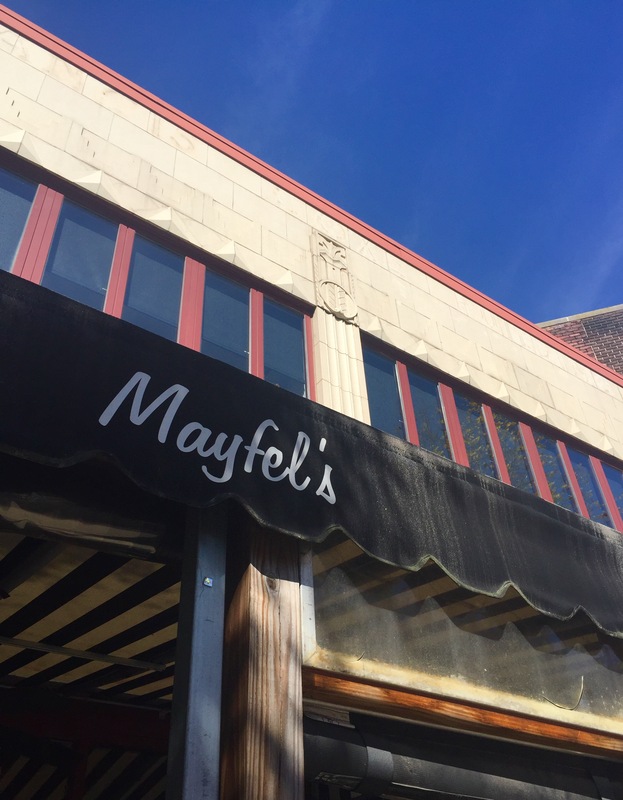 See you soon, Mayfel’s and thanks again!